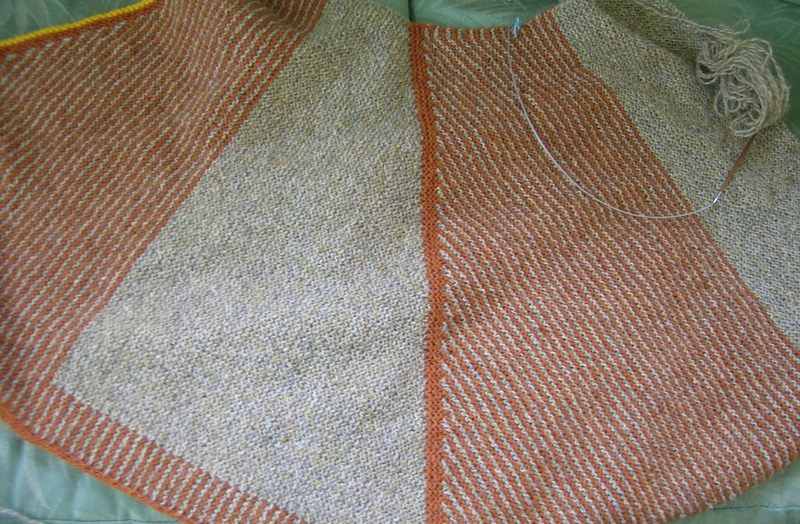 I have been working steadily away on my Hanne Falkenberg cape. I am almost to the 1/2 way point. This is a good knit where not a lot of thinking or chart following is required. Her patterns are extremely well thought out, and the math always works out perfectly (unless you make a mistake). My only complaint would be that I have to read sections of the pattern at least 3 times to be really clear on what she is asking for. I think that there is both something lost in the translation, and an issue of formatting the written pattern. The first time that I knit with her yarn I was less than thrilled with it, but it has grown on me. 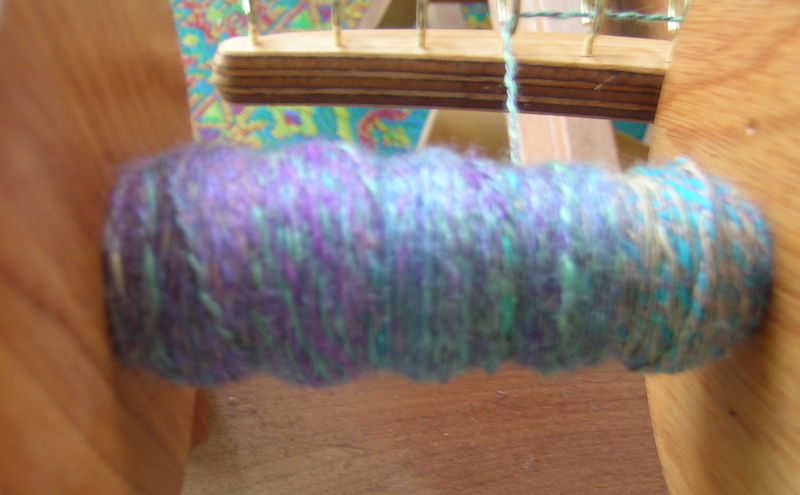 She uses a Shetland 2-ply, and I can attest that it wears very well. The heat wave has finally broken here, so I don’t mind a bit of wool in my hands or on my lap as much. 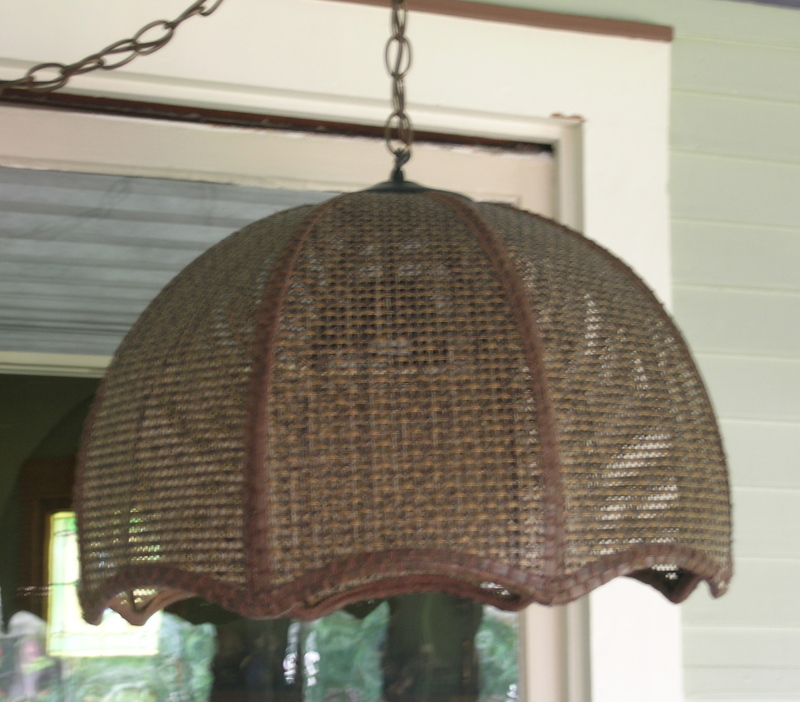 And on a house note, look at this cool vintage wicker light fixture (scored from a musty messy basement in Grand Rapids). My husband is going to rewire this and the porch is set up with a new ceiling light box to accommodate it.